Or view larger version. Untitled. March 1966. Unknown photographer. Gelatin silver print. Collection of Oakland Museum of California. 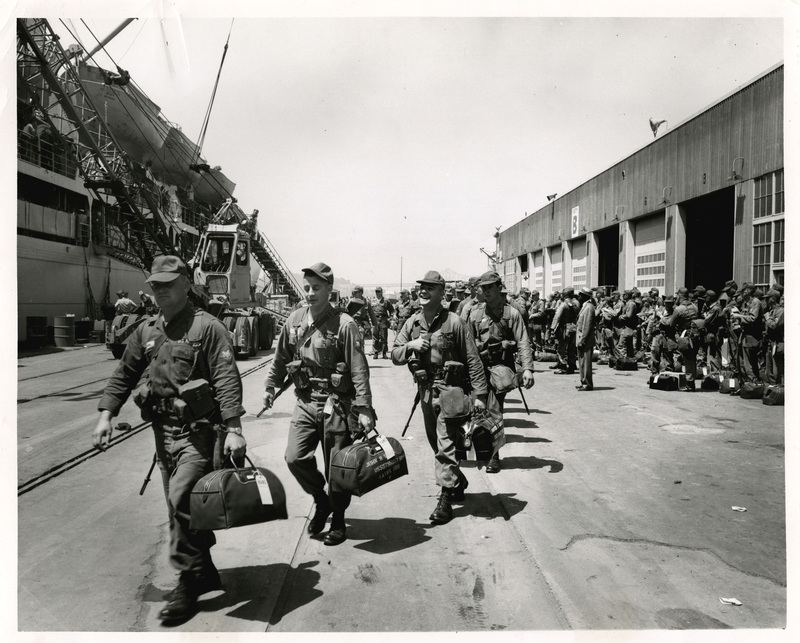 This is a photograph showing combat troops embarking for Southeast Asia from the Bay Area Military Ocean Terminal passenger pier at the Oakland naval Supply Center. Virtually all the military surface passengers leaving the west coast for Southeast Asia were shipped through this terminal.